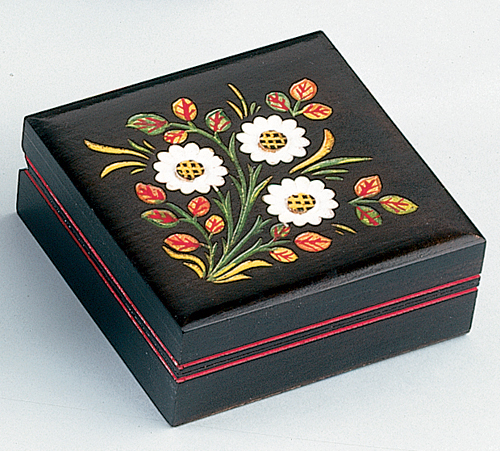 Deep carved, hand painted design. Ebony finished background. Dimensions: 4 in. x 4 in. x 1-5/8 in.